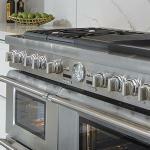 Since 1916, Thermador kitchen appliances have been synonymous with exceptional. 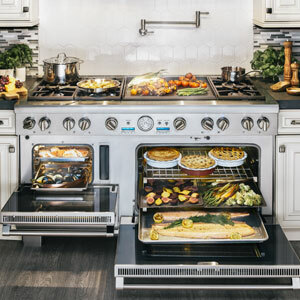 Pushing boundaries is part of our very nature: we introduced America to the cooktop, rolled out steam and convection ovens, and opened the door to personalization with column refrigeration. 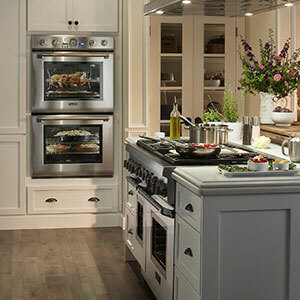 Our passion for everything culinary is what inspires us, ignites the flame of imagination, and transcends the ordinary—so you’re empowered to create unforgettable experiences in the kitchen and beyond. 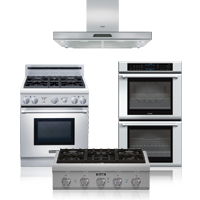 The Ultimate Culinary Series is here—extraordinary ranges and ventilation units for devout cooks and avid entertainers. 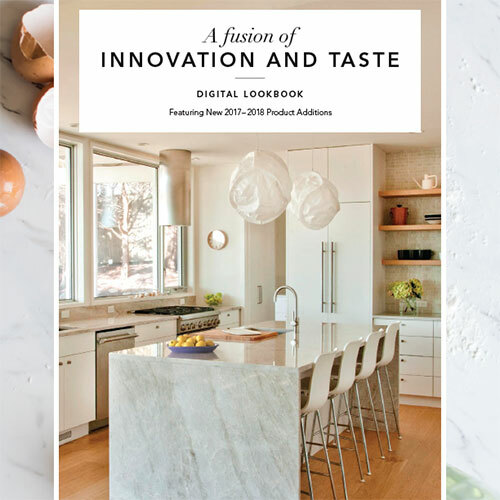 Revel in the cutting-edge innovation, personalization and exceptional versatility of our Ultimate Culinary Center and Ultimate Entertainer’s Center. 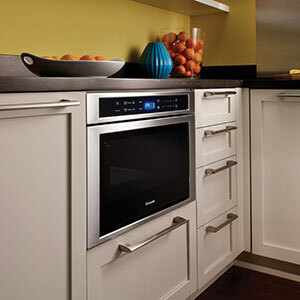 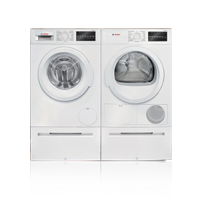 60-Inch Pro Grand® Ranges and ventilation products available in several configurations. 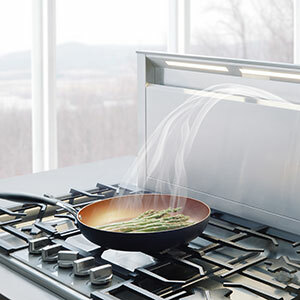 The ExtraLow feature on Thermador gas ranges and cooktops provides the widest variety of temperature control of any simmer system. 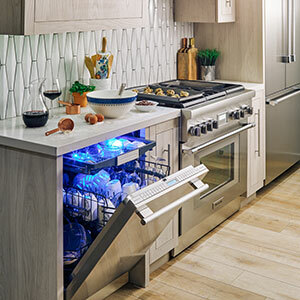 It cycles the Star Burner on and off to maintain temperatures as low as 100. 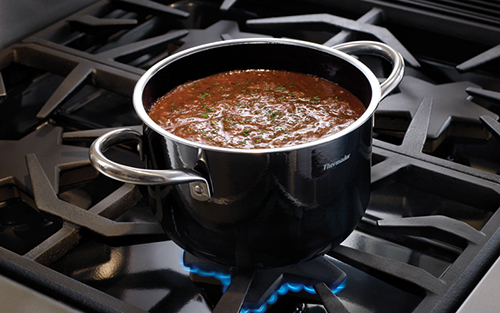 Perfect for simmering delicate sauces or keeping food warm without scorching or stirring. 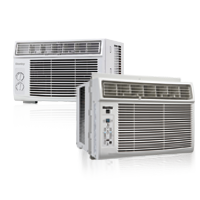 The Star Burner’s unique shape isn’t just for show. 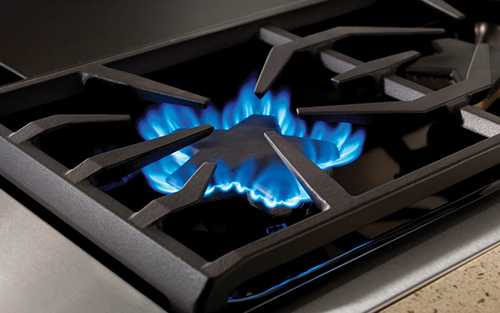 It creates a perimeter 56% longer than a round burner of the same size, which allows the inclusion of more flame ports. 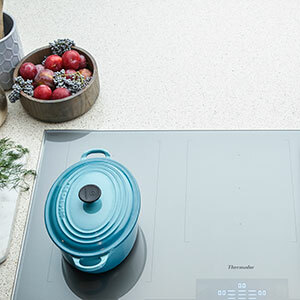 The result is a stove burner that delivers superior flame spread and a reduced cold spot for faster and more even heating across any size pan. 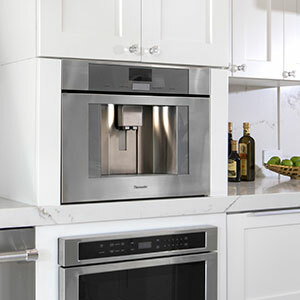 Engineered specifically for the Freedom Collection, all units feature a heavy duty hinge that can open to 115, allowing full-height, integrated doors and Truly Flush Mounted installation without sacrificing accessibility. 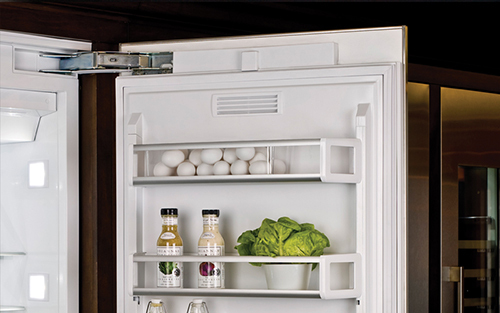 The hinge also supports virtually any wood panel on your custom panel refrigerator column or bottom freezer. 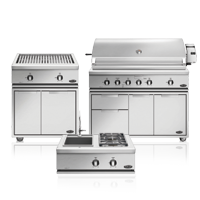 Cultivate, curate and consider every detail while you save up to $9,397. 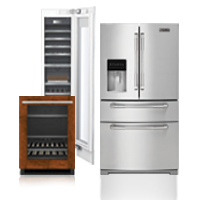 Our exclusive savings program allows you to create a personalized suite of custom panel or stainless-steel appliances and receive a gift with your purchase—including a free dishwasher or other upgrades. 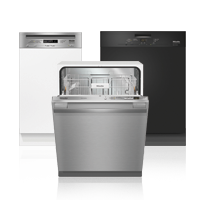 Introducing a rare, unequaled gem in the kitchen: the Thermador Star-Sapphire Dishwasher, the fastest dishwasher with a 20 minutes hot water wash cycle in the industry. 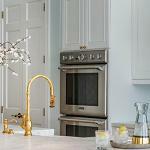 Never again will you need to interrupt a dinner party to refresh wine glasses and place settings; your dishes will be clean by the time you’re ready to open a new bottle. 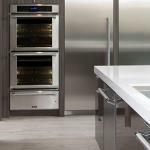 Thermador products incorporate design and customized features developed to meet the needs of consumers and trade professionals, based on insights provided by both audiences. 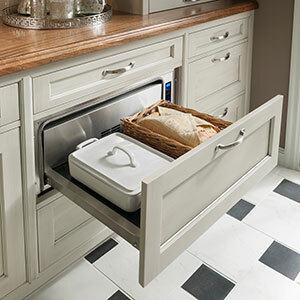 A small kitchen can still make a big statement. 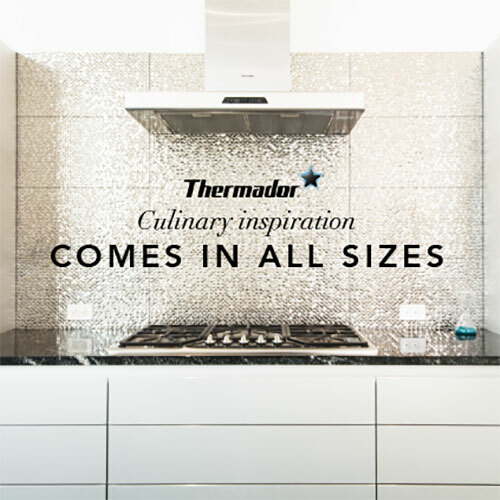 Discover how Thermador appliances fit seamlessly into any size and style, from urban, contemporary suites to quaint, traditional cottages and beyond. 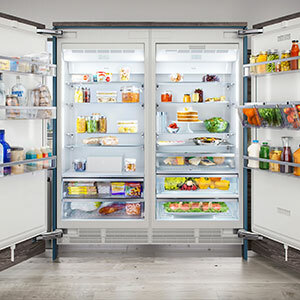 The Freedom® Refrigeration Collection features freestanding, custom-panel refrigerator and freezer columns that you can arrange just the way you need. 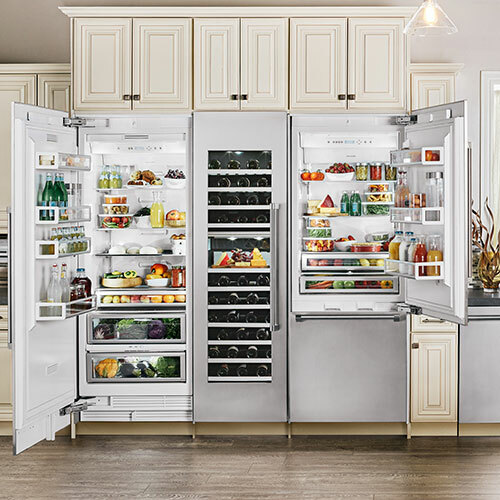 Panel-ready and stainless steel columns are available with sleek handles, or with a handle-less, push-to-open design.